When freshly polished, uncoated copper mirror surfaces have high natural reflectivity in the infra red, good thermal conductivity and a high heat capacity. 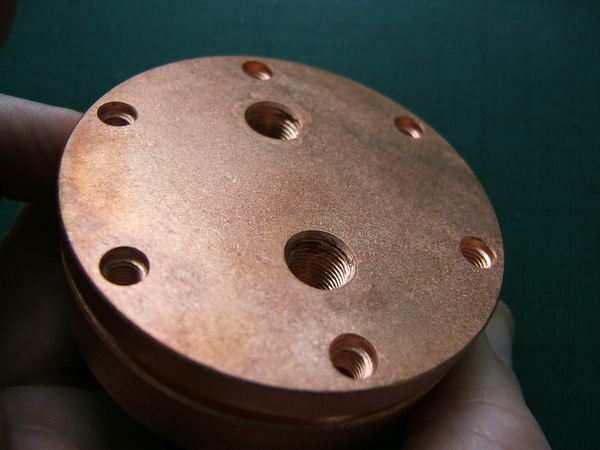 Copper is a crystalline metal, it’s surface quality and laser damage resistance is limited by the poly crystallinity of the reflective surface. 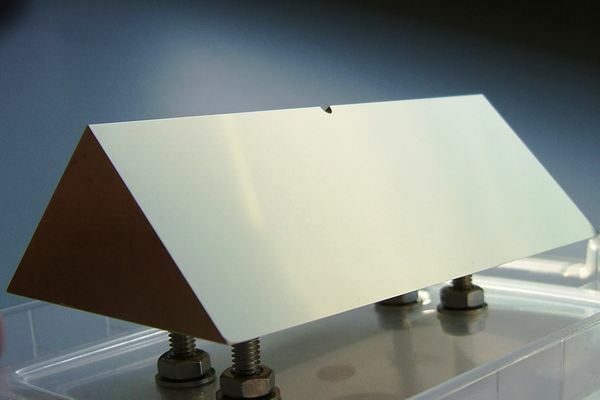 To improve the laser damage resistance, and reduce scatter, our copper mirrors have a thin intermediate layer of electroless nickel deposited. Electroless nickel is an amorphous or “glassy”, non crystalline material, that can be polished to an exceptional smoothness. Electroless nickel plating also protects the whole of the mirror from oxidation, and prevents contamination or reaction of exposed copper with the lasing gas such as in sealed slab discharge resonators. Some of our exhibition sample mirrors are 15 years old, and still look like new. LBP Optics' copper mirrors are chemically polished resulting in surfaces that are super-smooth and free of imperfections from turning lines, fly cutting arcs and diffractive patterns that are common on diamond turned (SPDT) mirrors. This gives a much higher laser induced damage threshold and a low scatter mirror surface. LBP metal mirrors can be used in the visible and UV. Finally, our proprietary stress relieving and heat treatment is proven to give long term stability and performance across a wide range of operating temperatures. 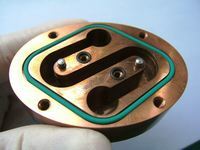 For the highest laser powers and for maximum stability, internal water cooling channels can be machined into the copper mirror itself. As copper is readily machinable, we offer a huge range of mirror shapes and sizes such as prisms, axicons, rectangular or square mirrors, chopper wheels, knife edge mirrors and shutter mirrors. 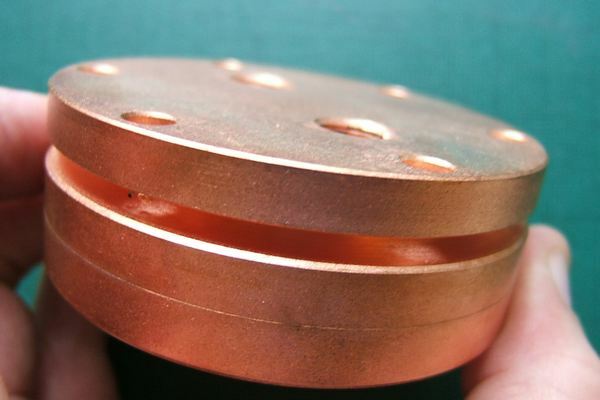 By engineering in features such as dowel holes, tapped helicoiled holes and flanges, a well designed copper mirror can reduce costs for OEMs in mounting, assembly and laser alignment. Used CO2 laser optics can often be reworked to as good as new condition, a service used by a growing number of our customers. The raw metal material in larger mirrors, water cooled mirrors or laser mirrors with complex engineering can be a large part of the cost of the optic, so refurbishment makes economic, technical and environmental sense - contributing to ISO 14000. 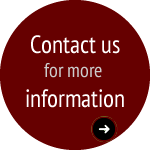 See our newsletter about reworking used CO2 laser mirrors.